Categories: Haikai, Haiku, Katauta, Micropoetry, Photos, Poetry, Three Line Poetry | Tags: One Word Photo Challenge, Photos, Poetry | Permalink. 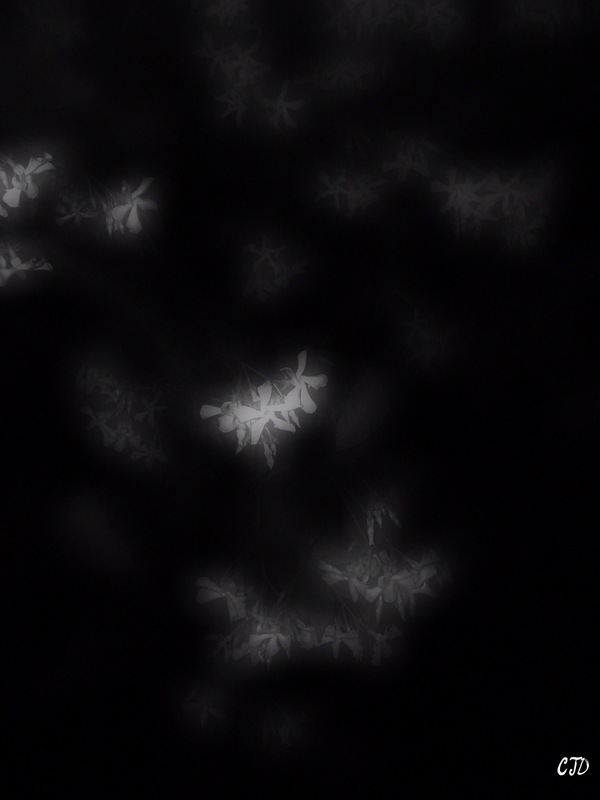 Really beautiful take, I love how the white flowers peak through the darkness. Thank you! I ended up having to use flash but I was able to “shop” in the dreamy quality I wanted. Sorry, I imagine you thought the worst with that title due to your job. Not trying one-up you in bodily fluids department. You win that one hands down. Excellent! Lovely imagery…and use of haiku! Whatever you say “Nebraska Night”. A good “wow” I hope? aww…today jasmine is our muse…lovely !